I’ve tried eliminating coffee from my diet before. It worked, but somehow coffee’s call always boomeranged its way back into my life. It’s not really the caffeine that I miss, especially not the headaches that come by accidentally missing one’s daily dose, but just the cup of hot deliciousness. I’ve tried herbal teas, but just don’t love ’em. Pregnant times call for desperate measures and the wonderful world of the Internet showed the way to Teeccino, an herbal caffeine-free coffee substitute. Since it’s made from things like ramon nuts and carob and barley, wouldn’t it bad for your teeth to sip the stuff all day? I’m going to limit to my morning dose. 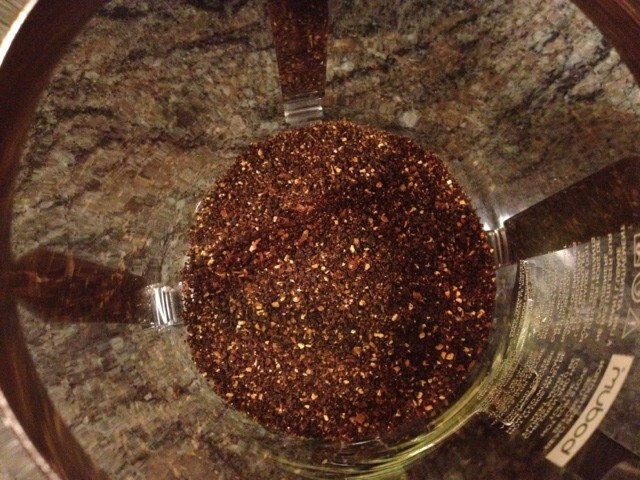 Add 1-2 Tbsp Teeccino to a 6-cup French press. Remember that coffee is measured in 4 oz. servings in those presses. Add boiling water to fill. Wait three minutes, press, pour, and drink. I like my Teeccino with a splash of unsweetened soymilk. 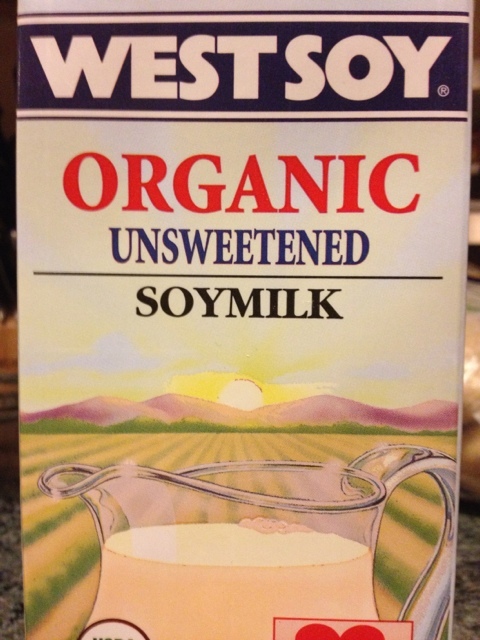 What are the ingredients in unsweetened soymilk? 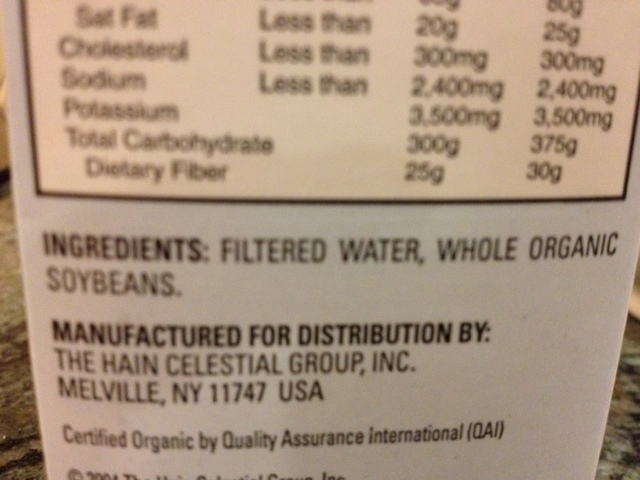 Soybeans and water. That’s. It. Regular soymilk has way too much sugar added. Even if it’s organic sugar, it’s still sugar.